While the 2018 live meet isn’t until September, America’s most unique racecourse has launched a social-media contest where fans can earn a trip to Kentucky Downs by posting on Facebook and/or Twitter about the track. The #LiveAtKyDowns Post Time Contest will award two grand prizes: one for an entrant residing within 200 miles of the track on the Tennessee border and one going to an entrant residing more than 200 miles away. The contest begins immediately and ends July 31, with the winners to be announced Sunday, Aug. 5 at Ellis Park’s Kentucky Downs Preview Day, which features four $100,000 turf stakes funded by money transferred from Kentucky Downs’ purse account. 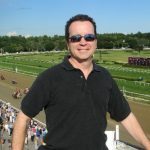 Kentucky Downs staff will select the two grand prize recipients on a purely subjective basis, including originality and passion exhibited in the winning posts. Judges may consider a series of posts collectively in determining a winner. The #LiveAtKyDowns Post Time Contest is not a sweepstakes and is not determined by random drawing. The two grand prize winners will be Kentucky Downs’ guests for live racing Sept. 6, 8 and 9, including hotel accommodations for up to five nights. The regional winner will receive a betting voucher for $1,000 and up to four tickets in either the Turf Club Tent or Finish Line Pavilion for any or all of the three race days they are able to attend. The national winner will be reimbursed for airfare up to $600 for one person or up to $1,000 for two, a $500 betting voucher and two tickets in the Turf Club Tent or Finish Line Pavilion for any or all of the three race days they are able to attend. Winners will have a race named after them and present a trophy to the winning connections. Got Rebates? Get instant cash rewards through this wagering website. There is no limit to the number of entries a person can make, though the social-media posts must be different in at least one aspect, such as phrasing, photo or video. The same post can be used on both Facebook and Twitter. All posts must be visible to the general public and have the ability to be “retweeted” or “shared.” By entering the contest, participants agree to let Kentucky Downs use all or parts of any posts, including photos, videos and memes, for publicity or news purposes. Kentucky Downs reserves the right to tailor the trip to accommodate winner’s travel schedules. Contest participants must be at least 18 years old. Complete rules available below and at KentuckyDowns.com. Airfare for one up to $600; airfare for two up to $1,000 to attend Kentucky Downs’ live race meet Sept. 6-9, 2018 (live racing that Thursday, Saturday and Sunday). Winner will be reimbursed upon arrival at Kentucky Downs. Hotel room for up to five nights, Sept. 5-9, 2018, at Hampton Inn-Franklin KY or Comfort Suites, Portland TN. Value $500. Must be 18 years old to enter. Free to enter. Contest starts immediately and runs through July 31, with winners to be announced Aug. 5 during Kentucky Downs Preview Day at Ellis Park. Contest participants post on Twitter and/or Facebook about why you want to go to Kentucky Downs for the first time or why (if you’ve been) you want to go back. 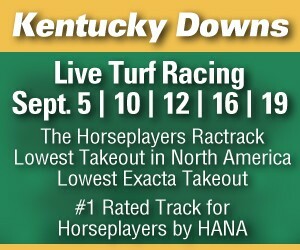 Must use hashtag #LiveAtKyDowns on either Twitter or Facebook. All Twitter and Facebook posts must be able to be shared publicly, with Kentucky Downs having the ability to retweet or share, in order to count as an entry. Participants must fill out an official entry form on facebook.com/KYDownsGaming/, twitter.com/KyDownsRacing or kentuckydowns.com, specifying whether post appears on Twitter or Facebook or both, date of posting, your name, address, phone number, email and birthdate, along with direct link to the post and the text of the post. Entrants have the option of including professional or personal information (such as how long you’ve been a racing fan, or how you became a fan). Entrants must be able to establish proprietary right to photos and/or video. By submitting an entry, the entrant gives Kentucky Downs the right to use all or parts of the social-media posts, including any photos or video, for news and promotional use both in 2018 and beyond. No limit on number of entries by a single participant. The same post can be on Twitter and Facebook. Kentucky Downs reserves the right to add sponsors to the contest or clarification of the rules at any time. This is not a sweepstakes or drawing. Grand prize winners will be selected by a panel of Kentucky Downs employees, with judging completely subjective. Factors can include — but are not limited to — originality, passion, visual appeal and information about the entrant. Kentucky Downs’ decision on the winners is final. Entries using profane or distasteful language or characterization will not be considered. Kentucky Downs reserves the right to tailor the package to an individual winner. If winner cannot attend during the 2018 live meet, efforts will be made to offer prize package to another participant. Located near the Kentucky-Tennessee border off Interstate 65, the year-round entertainment center offers live racing on its unique 1 5/16-mile European-style turf course in September. Simulcasting is available seven days a week, as well as pari-mutuel wagering on Historical Horse Racing, charitable gaming, dining and other events. Racing has been conducted at the facility since 1990, when it was called Dueling Grounds.